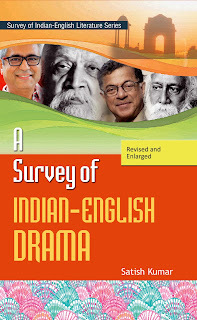 A Survey of Indian English Drama is an exhaustive presentation of the evolution of Indian drama in English from the beginning to the present day. Dramatists from T.P. Kailasam, Tagore, Harindranath Chattopadhyaya, Asif Currimbhoy, G.V. Desani, Gurcharan Das, Nissim Ezekiel and Shiva K. Kumar contributed in their own ways to impart naturalness to themes and techniques of drama but the real credit of creating of what real Indian English drama is goes to Girish Karnad and Mahesh Dattani who have brought about an epoch making and revolutionary transformation in drama. Manjula Padmanabhan demolishes the old and obsolete constructs of patriarchy and brilliantly exposes the evil of organ purchase from the poor for the rich and imparts psychological depth to character delineation. Contemporary dramatists Abhishek Majumdar, Ramu Ramnathan, R.P. Singh, Annie Zaidi, Manjima Chatterjee and many others have explored various contemporary themes in their plays. Various facets of Indian drama in English have been critically analysed and the contribution of the makers of this dramatic genre—Asif Currimbhoy, Manjula Padmanabhan, Girish Karnad and Mahesh Dattani— has been critically and systematically analysed in simple and lucid language. It is an updated comprehensive discourse on Indian drama in English. Indian English drama has not registered any major gain in terms of both creative output and critical evaluation of extant works. It has not yet attained either fecundity or excellence of craftsmanship as has been evinced in fiction, poetry and even in prose. M.D. Melwani once rightly remarked : “As against every play performed or published, three novels or six collections of poetry (including anthologies) are published.” The reason for the paucity of dramatic literature is quite obvious. In want of an Indian English theatre the playwrights failed to achieve stageworthiness, which is the soul of drama and, hence, only closet plays were written. 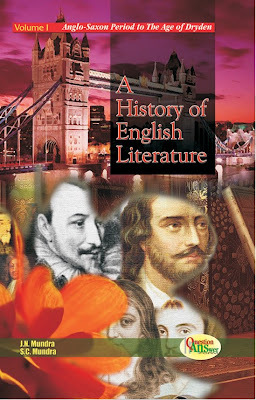 Secondly, English being a foreign language was not intelligible to the masses and the playwrights found it difficult to write crisp, natural and graceful dialogue in English which was not the languge of their emotional make up. Drama is an art form which needs constant experimentation for its growth and development. The meagre extent of experimentation has been another major setback in the path of concrete achievement in the field of drama. Some modern playwrights—Pratap Sharma, Gurcharan Das, Asif Currimbhoy and Girish Karnad—have done their best to harness English for writing natural and realistic dialogue articulating vividly Indian sensibility. They have also cultivated stageworthiness and conscientious dramatic craftmanship and technique in their plays. Magazines, especially Enact, have also been promoting the development of drama. The future of Indian English is not bleak. Prospects are bright. The promise of greatness, evident in the plays of Asif Currimbhoy and Girish Karnad, augurs well for the future. This volume aims at presenting a chronological development of Indian English drama along with critical comments on major playwrights. Separate chapters have been written to assess the contribution and place of four outstanding playwrights—Rabindranath Tagore, Sri Aurobindo, Asif Currimbhoy and Girish Karnad. It is hoped that this volume fills a definite gap in the History of Indian English literature. 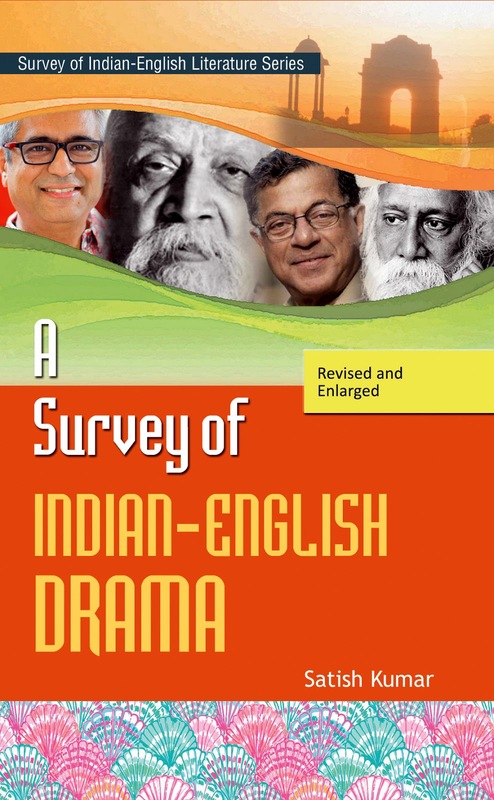 The first edition of A Survey of Indian English Drama appeared in 1993 and on demand of students and scholars it was reprinted in 2008 and 2009. Dramatic literature has speedily progressed with the publication of Girish Karnad’s Tughlaq and Hayavadana. Karnad, a dramatist, actor and dramaturge of international repute and Mahesh Dattani, another stalward in theatre and drama, published some of their finest plays in the nineties of the twentieth century and the first decade of the present century. Under their benign tutelage many a new playwright—Abhishek Majumdar, Raju Ramnathan, Annie Zaidi, Manjima Chatterjee and many others have contributed to the development of realistic drama in the twenty first century. Basavaraj Naikar emerged as a regional historical dramatist in the second decade of twenty first century. The phenomenal growth of dramatic literature in modern and contemporary periods prompted me to thoroughly revise and update this book. Apart from K.R. Srinivasa Iyengar’s pioneering Indian Writing in English and M.K.Naik’s A History of Indian English Literature, there have been no separate and exclusive surveys or histories of Indian English Drama, perhaps because the genre of Indian English drama happens to be the poorest among the literary genres and suffers from many disadvantages, due to its alien medium (of English language) confined to academia and lack of an independent theatrical tradition. But in spite of all these disadvantages Indian English drama has survived because of own colonial contact with Britain and the English education introduced by the colonial rule. Though Indian English Drama cannot be seen on the stage, it has been read and studied in Indian Universities as part of their post-graduate curriculum and doctoral programme. But the information on Indian English Drama has not been abundantly available in literary histories, as it is a new subject and there is no network of academic communication and centralized documentation in India. There are many plays, which have escaped the notice of literary historians like M.K.Naik. When viewed against this background, Satish Kumar’s A Survey of Indian English Drama happens to be an important and welcome addition to the realm of literary history. He starts his survey from the beginning – Rabindranath Tagore, Sri Aurobindo up to the latest and contemporary playwrights like Mahesh Dattani. What is appreciable in his book is his generosity to recognize the feminist playwrights like Manjula Padmanabhan and Poile Sengupta and the contemporary playwrights like Arun Kukreja, Abhisek Majumdar, Neel Chaudhri and Aditya Sudarshan and son and brings it up to Basavaraj Naikar. There is some critical controversy about whether to treat Rabindranath Tagore and Girish Karnad as Indian English playwrights or Indian Regional Playwrights in English Translation, because both of them wrote their plays in Bangla and Kannada respectively and then translated them into English (sometimes with the help of others). Such a controversy cannot be seen in the case of Sri Aurobindo. Satish Kumar ignores this important issue. It is high time now for Indian scholars to push Tagore and Karnad into the division of Indian Regional Literature in English Translation so that the pure Indian English dramatists may be studied separately for arriving at a better perspective. An excellent book providing holistic view of Indian-English drama.